Welcome to your beautiful new home where Oak Bay meets Fairfield! The Trio is located mere steps off Oak Bay Avenue. 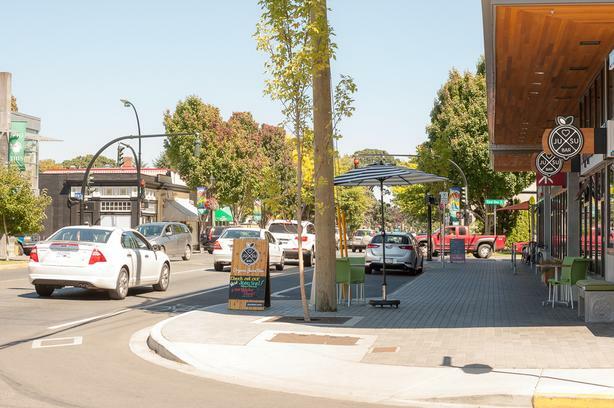 The end of your quiet, tree-lined street boasts two coffee shops, a juicery, a sushi restaurant, and the Red Barn Market, just to name a few. Available April 1st, this immaculate top floor suite has 3 bedrooms, 1 bath spread over 1000 square feet, with several large windows offering tons of natural light and treetop views. No expense spared in this unit . . . quartz countertops, stainless steel appliances including dishwasher. High efficiency in-suite laundry is yet another perk, with your own private entrance, covered balcony and single car detached garage. The building has been thoughtfully renovated: all work was completed with building permits; extensive sound proofing between units and living spaces; all new plumbing, electrical, windows, siding and insulation. The property has been professionally landscaped and includes garden care. Some final notes: rent includes water and garbage, but does not include hydro/cable/internet. Small pets are negotiable.